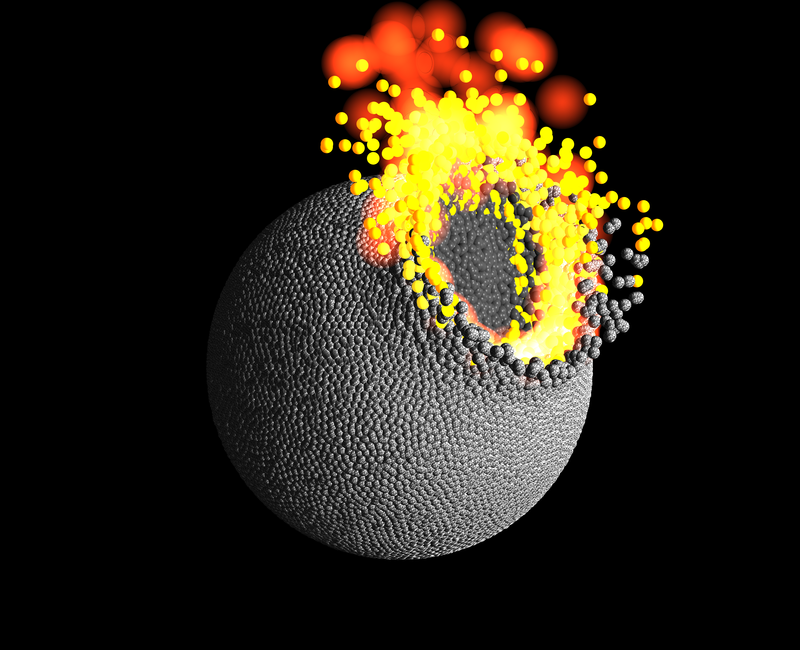 In this paper, published in EPSL, we explore the effects of collisions on the outer crust of planetesimals and planetary embryos. We find that crust is preferentially lost during collisions, and show that this can lead to changes in bulk composition of lithophile elements if reaccretion is inefficient. 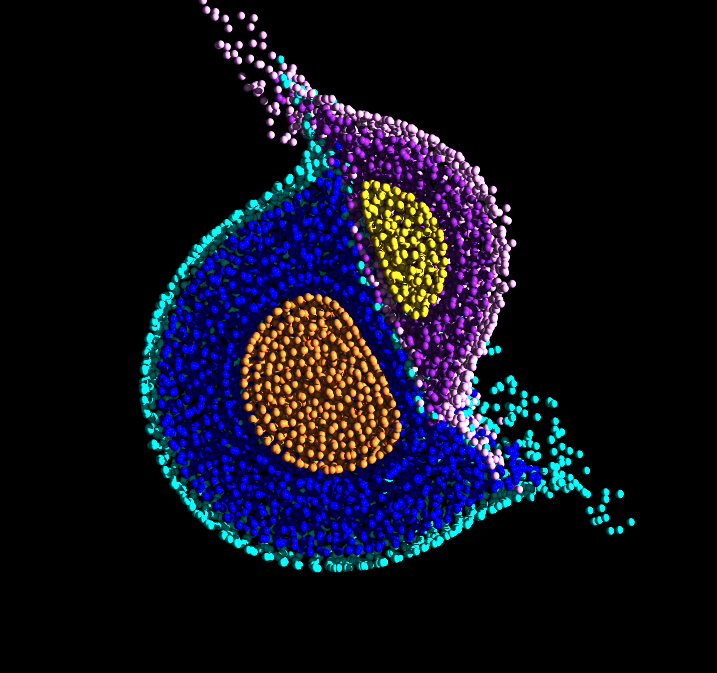 Animations from this paper can be found here. 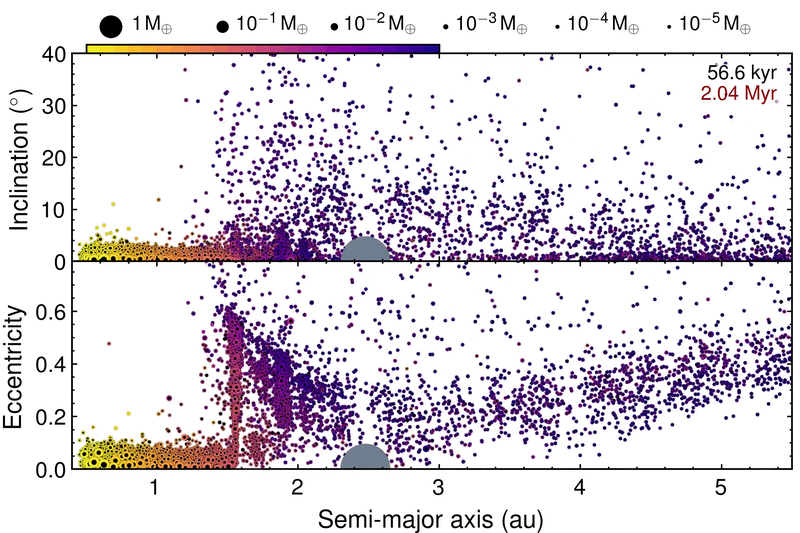 In this paper by Hin et al., published in Nature, new measurements are presented that show Earth and other large planetary bodies have isotpically heavier magnesium compositions than primitive meteorites. 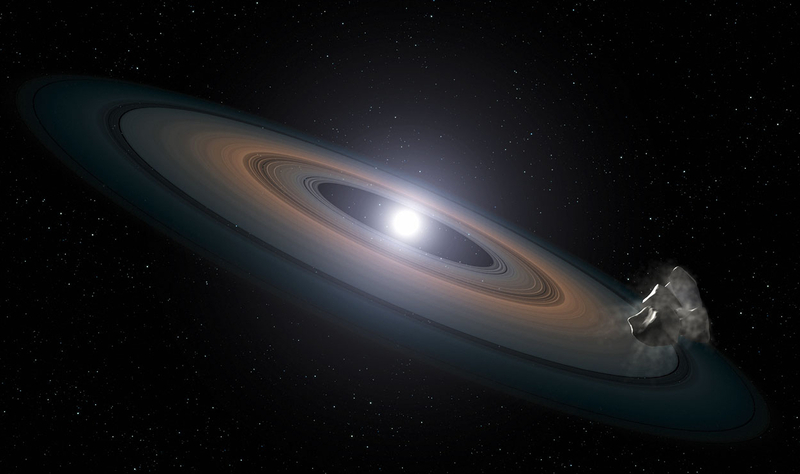 We examine vapour loss from planetesimals as a consequence of collisions during accretion. Loss of significant mass of vapour from growing planetary embryos could explain the Earth's isotopically heavy Magnesium signature. See also coverage from: The Washington Post, Space.com, The Independent. 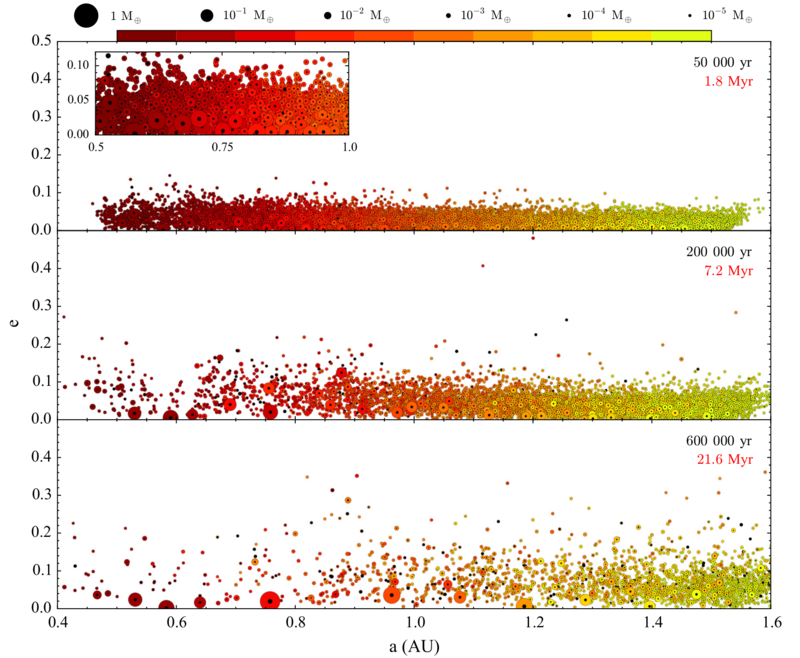 In this paper, published in ApJ, we explore the effects of collisional evolution on the compositions of planetesimals and embryos during the intermediate stages of planet formation. ADS link. Animations from this paper can be found here.